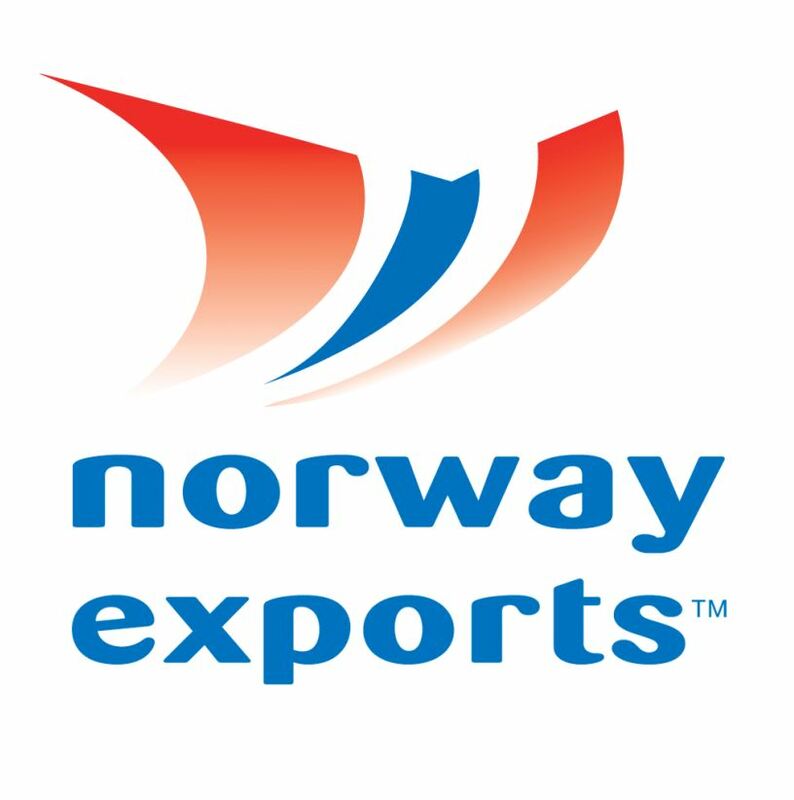 This week, AKVA group had the pleasure of contributing to Marine Student Boot Camp Mid-Norway, where 20 enthusiastic students were gathered to learn about the seafood industry. 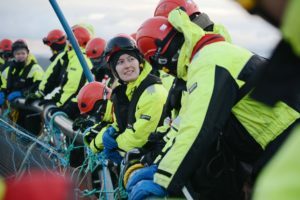 Sett Sjøbein hosts Marine Student Bootcamps in various parts of Norway. 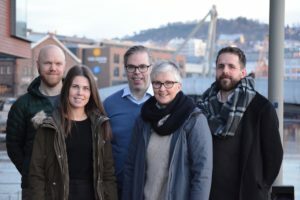 Sett Sjøbein is a national collaboration financed by The Ministry of Trade, Industry and Fisheries together with The Fisheries and Aquaculture industry’s research fund to highlight the opportunities within the seafood industry. The student boot camp gives the students a proper introduction to the seafood industry and a unique opportunity to make new contacts (Image: Sett Sjøbein). This year’s boot camp started last Saturday, when 20 selected students from different master programs arrived at the camp at Hitra. Throughout the week, the students have undergone a busy program comprising lectures, company visits, group work and social events. Frank Jørgensen and his team at AKVA group’s service station at Sandstad had the pleasure of welcoming the group on Monday. “What a fun and engaged group to meet! We showed them around the workshop and told them about AKVA group and our technology. The students asked many questions, both about what we do, and what skills they would need to work for AKVA group,” Jørgensen tells. Frank Jørgensen (right) showed the students around AKVA group’s service station at Sandstad (image: Sett Sjøbein). The group work started Tuesday morning when the students were handed a challenge from the industry. 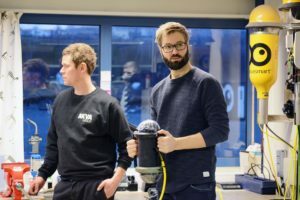 AKVA group’s head of production biology, Guttorm Lange, contributed as mentor together with Svein Angell from Skretting Norway and Janina Lamøy from Innovation Norway. The assignment was later presented to an expert jury, where AKVA group’s project manager Trude Olafsen was one of the jurors. 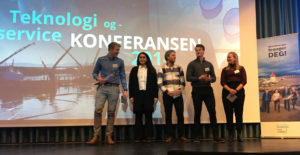 The winner of this year’s challenge was announced by Minister of Fisheries Harald Tom Nesvik at today’s Technology and service conference by Sjømat Norge in Trondheim: The group “BLUENERGY” who suggested implementing energy banks on sites and use feed supply boats to transfer power in a cheap and efficient way. The expert jury: Eirik Sigstadsø from FHF Fiskeri- og havbruksnæringens forskningsfond, Tina Olaussen from Kystmiljø, Henrik Hareide from Sølvtrans AS, Trude Olafsen from AKVA group and Andreas Quale Lavik from Seaweed Energy Solutions (image: Sett Sjøbein). The winning team “BLUENERGY”:Gisle Borg Gjertsen (NMBU), Åse Venke Hodnefjell (NMBU/DTU), Eivind Eikenes Dahle (NHH), Jasmin Gheshlaghi (UiT) and Hendrik Dybdahl (HiM) (image: AKVA group). 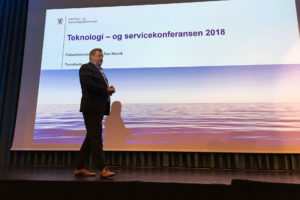 The Minster of Fisheries, Harald Tom Nesvik, presented award for the winning group at today’s Technology and Service conference in Trondheim (image: AKVA group).